What is that ‘thingy’ on the roof? Posted by T. Bryan Mulligan, AIA on June 8, 2013 . Leave a comment. This blog post was inspired by an article that I recently read as well as conversations I’ve had with many clients. Architects (and builders) have names for just about every component or system involved in the design and construction of a building. Most of these terms have been passed down from as far back as the ancient Egyptians to as recent as last week on Winter St, and some we make up as we go. The author of the article claims that the smartest thing we can do as architects is to stop talking to our clients like they are architects. I vigorously disagree. To dumb down a term or a phrase implies that you are stupid and can’t begin to understand the architect’s ‘la cosa nostra’ (or more accurately… ‘la nostra piccola cosa‘). Yes, to say to a client (as quoted from the article) “Communicative inheritance, remembered as the true conveyance of cultural integrity, fosters an exchange of the sacred geometrical building blocks.” only showcases the architect’s knowledge and/or use of big words… or simply just their arrogance. But why not teach our clients, or at least familiarize them with the archi-speak that we use in general conversations with each other and the builders we work with? Then guess what happens? Client empowerment, and most notably a trusting relationship. The following is a quick glossary of arhi-speak terms to educate… and maybe amuze. And like I said it’s a quick list so I may have missed one or two, but feel free to add. Baluster: One of a series of short vertical posts, often ornamental, used to support a handrail. Balustrade: A railing composed of balusters and a top rail running along the edge of a porch, balcony, roof, or stoop. Bearing Wall: Any wall supporting a floor or the roof of a building. Beam: A structural member that transfers a uniform load (i.e. floor joists) to two or more bearing points (i.e. wall or column). Blueprints: Not a term we really use anymore, now we just call them drawings? They were called blue prints because the printing process (which involved a lot of ammonia in an under ventilated room) turned everything blue except was was drawn or written, which turned white. Blueprint paper was yellow before the printing process… no kidding. 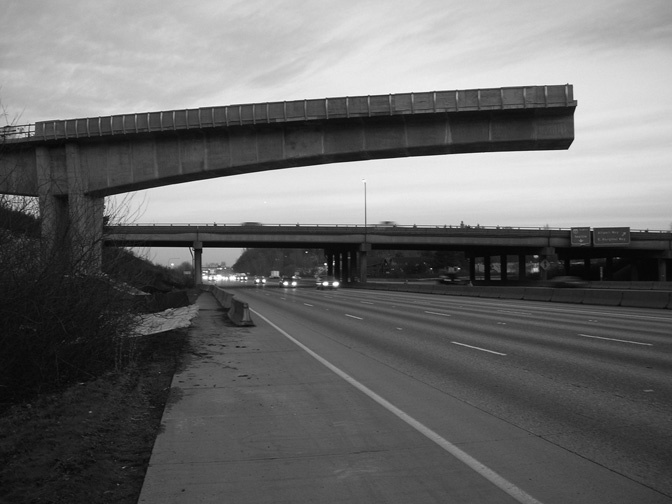 Cantilever: A structural member that spans two or more bearing points and extends beyond a fulcrum to a maximum calculated overhang and is supported by a balancing downward force at the opposite end of the fulcrum. Change Order: Written authorization approving a change from the original plans, specifications, or other contract documents, and is usually followed by a change in the cost and time to the project and is considered a legal document. 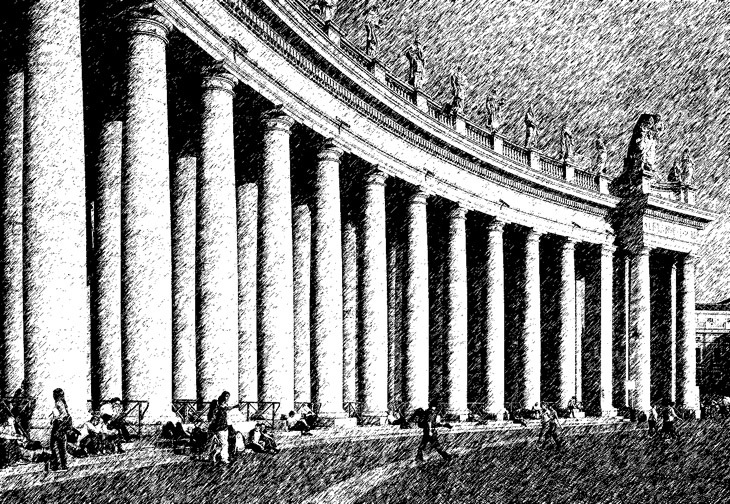 Colonnade: A series of regularly spaced columns that support a floor or roof above. 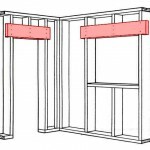 Column: A rigid, vertical support member that is cylindrical, square or rectangle and transfers a uniform load to the building foundation. Construction Administration (CA): The architect’s duty of overseeing the fulfillment of responsible parties during the construction phase for the primary benefit of the owner. Construction Documents (CD): The written specifications and drawings that provide the instructions for construction and include plans, elevations, sections, details, schedules. Everything the contractor needs to complete the project. 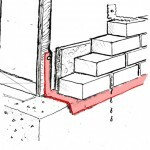 Coping: The protective waterproofing top member of any vertical construction such as a wall and can be masonry, metal or water shedding membrane material. 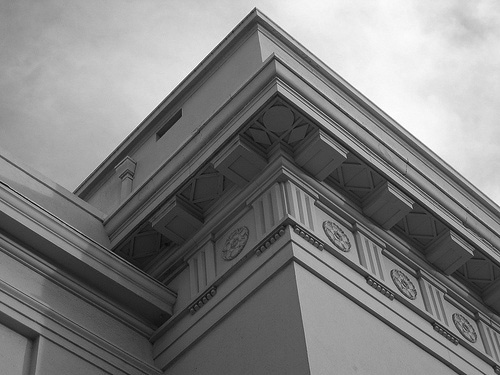 Corbel: A course or unit of masonry that projects beyond the course below. Cornice: An exterior ornamental trim where a wall meets a flat or pitched roof line. 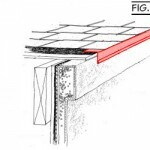 Cricket: A secondary roof built on top of a primary roof that slopes directly into a vertical protrusion, such as a chimney, shedding water away from vertical protrusions. Day: For an architect its usually any day of the week including Saturday, Sunday and holidays from 5am to midnight 4am. Business Day: See also ‘Day’. Demo: Dismantling or razing of all or part of an existing structure (also known as Demolition). Design Development Phase (DD): A project’s schematic design is refined and build-ability is detailed, materials are selected, finishes and fixtures and reviewed with the client. Dormer: A vertical structure, usually housing a window, that projects from a sloping roof and is covered by a separate roof structure. Drip Edge: A metal or wood strip placed at the edge of a roof from which rainwater drips into a gutter or away from the building. 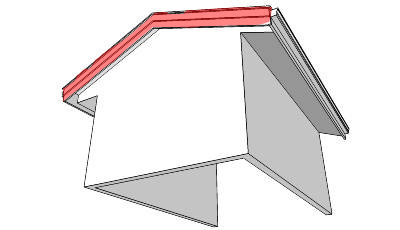 Eave: The overhanging edge of a roof, usually at the bottom of a slope. Engineer: The silent partner who makes our crazy ideas work and look beautiful. Fascia: 1. 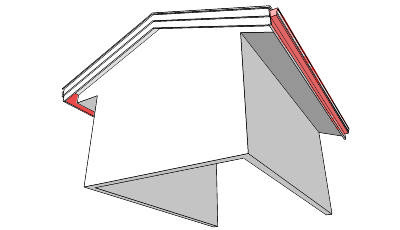 A board of a proportional size placed on the outside vertical face of a cornice. 2. A board nailed across the ends of the rafters at the eaves. 3. 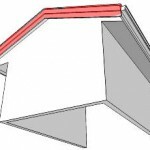 The vertical face of an interior or exterior soffit. Fixture: An appliance or device and usually include lighting, toilets, sinks, mirrors, dishwashers, etc. 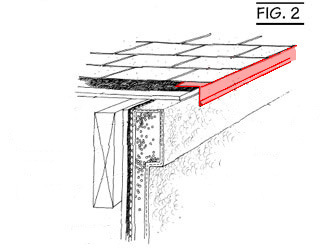 Flashing: A thin, impervious sheet of material placed in the construction detail to prevent water penetration AND redirect water that might penetrate. Floor to Floor: The dimensional height from the top of one floor to the top of an adjacent floor, above or below. Footprint: The outline of a building where it engages the finished grade. 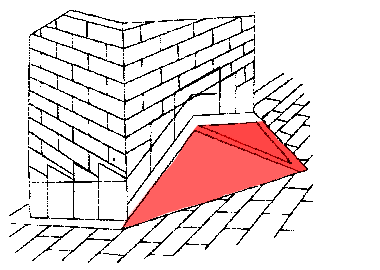 Gable: The upper portion of an end wall formed by the slope of a roof. Grade: The ground under your feet consisting of dirt or grass. Habitable space: An enclosure or a room within an enclosure which is intended for human occupancy or habitation. Hardware: Equipment such as knobs, hinges, locks and various other relative pieces that render a door, window or cabinet functional. Head: The upper portion of a window, door or opening that spans across the top. Header: A horizontal structural element over an opening which carries the weight of the wall above. Jamb: The side portion of a window or door opening. 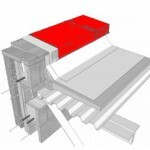 Joist: One of a series of parallel structural members used to support floor and ceiling loads, typically spaced 12”, 16” or 24” and supported in turn by larger beams, girders, or bearing walls. Lead Time: The time between the placement of an order and delivery of a product or material from a manufacturer. 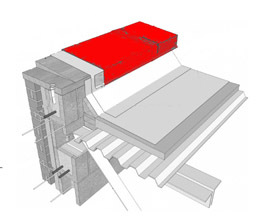 Lintel: A structural member that spans a masonry opening. Can be steel or a single masonry element. 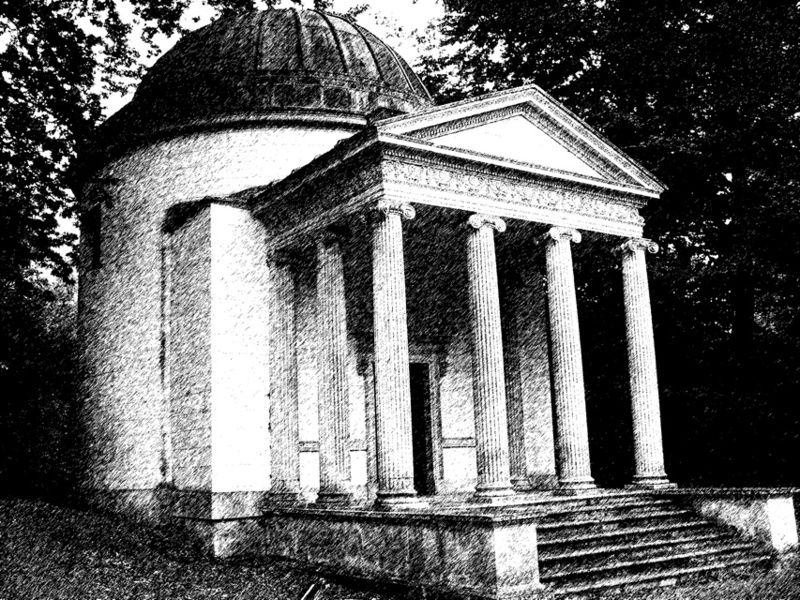 Loggia: A colonnaded structure that is open on one or more sides, sometimes with an upper story. Also known as a porch or gallery attached to a larger structure. 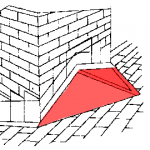 Masonry: Bricks, stone, blocks etc. 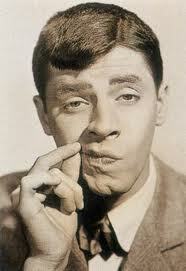 (Pronounced Ma-son-ree NOT Ma-son-ary). 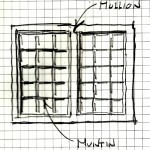 Mullion: A vertical primary framing member that separates paired or multiple windows within a single opening. 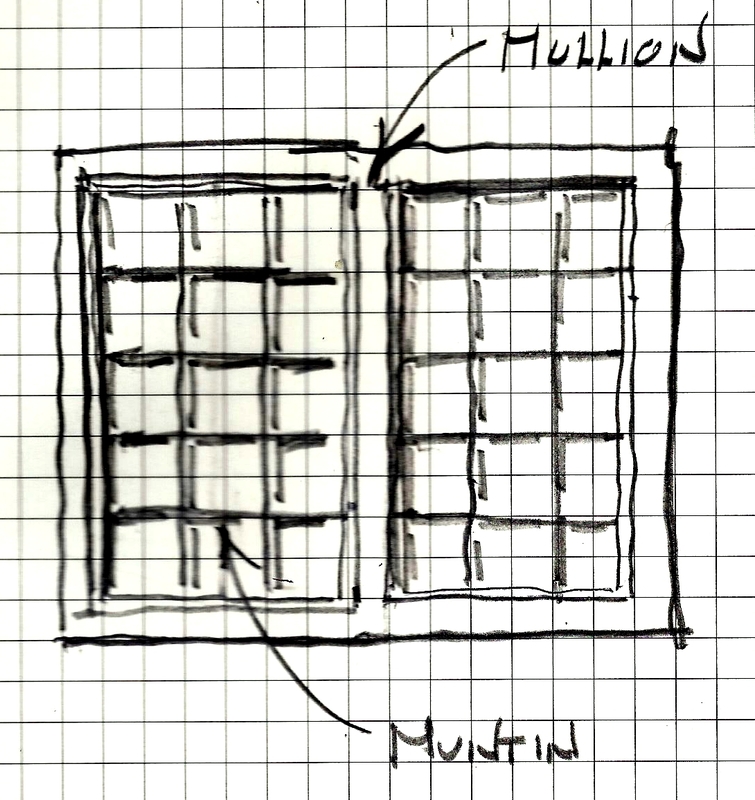 Muntin: A tertiary framing member that subdivides the sash into individual panes, lights or panels. Note: Grids placed between two sheets of glass are not considered muntins. Newel Post: The main post at the foot of a stairway. Operation: The manner in which a window unit opens and closes, and identified as casement, double-hung, awning or hopper. A non-operable window is identified as fixed. Parti: French for “decision”, as in make one. A term used by architects when talking about the basis or underlying concept that drove them to the big idea… or the genesis of their decision. A parti is usually a small sketch or diagram pinned on the wall somewhere around his or her desk; and rarely seen by anyone but the architect. 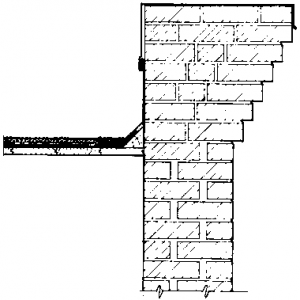 Parapet: The portion of an exterior wall the extends above a flat or low sloped roof. Paver: A block of stone used in sidewalk or patio paving. Pay Req (or Payment Request): A formal written request for payment by a contractor for work completed and materials stored on the job site or in a warehouse. THIS DOCUMENT SHOULD ALWAYS BE REVIEWED AND SIGNED BY YOUR ARCHITECT. 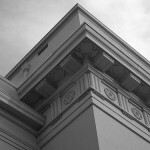 Pediment: A decorative element above a door or entryway, usually triangular in shape. Permit: A piece of paper issued by a governing authority that says you have permission to build. Pillar: It’s not a pillar! It’s a column! 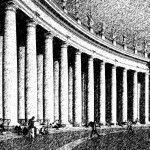 Pilaster: A column or pier that engages a wall revealing only a portion of the column. Pitch: The slope or angle of a roof. Pointing: The treatment of joints between masonry components by removing old deteriorated mortar and replacing with new mortar. 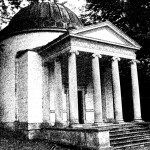 Portico: A small porch composed of a roof supported by columns, often found in front of a doorway. Pre-design Phase: Services provided by the architect which precede customary services. Pre-Design services include assisting the owner in establishing the program, schedule, budget, and project limitations. See also programming phase. Programming Phase: The design stage in which the owner provides full information regarding typical and special requirements for the project. Proud: A portion of an element that is positioned in front of another. 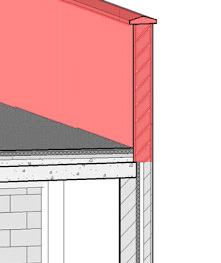 Rake: The extended portion of the roof overhang at a gable end. Renovation: Modernizing a building to meet current functional and aesthetic requirements. Also known as remodeling. RFI: Request For Information (a question from the builder to the architect for clarification or to buy more time. Rosette: A round floral ornament, carved or painted. Sash: The secondary part of a window which holds the glazing in place; may be operable or fixed; usually constructed of horizontal and vertical members; sash may be subdivided with muntins. Schematic Design Phase: The phase that follows pre-design and programming in which the architect prepares schematic level studies with drawings and other documents illustrating the of the project’s components to the owner. Scupper: Any opening in a wall or parapet that provides an outlet through which water can drain. Section: A drawing representing a vertical plane cut through any portion of a building or structure. Shingle: A relatively flat material composed of wood, fibrous cement, asphalt compound, slate, tile etc. installed in an overlapping series to cover roofs and walls. Shingling: The type of overlapping installation the sheds water without allowing penetration through a wall or roof. Shop drawing: Drawings created by a contractor, subcontractor, vendor, manufacturer, or other entity that illustrate construction, materials, dimensions, installation, and other pertinent information for the incorporation of an element or item into the construction. Sill: The lowest horizontal portion of a door or window opening. Sill Plate: 1. 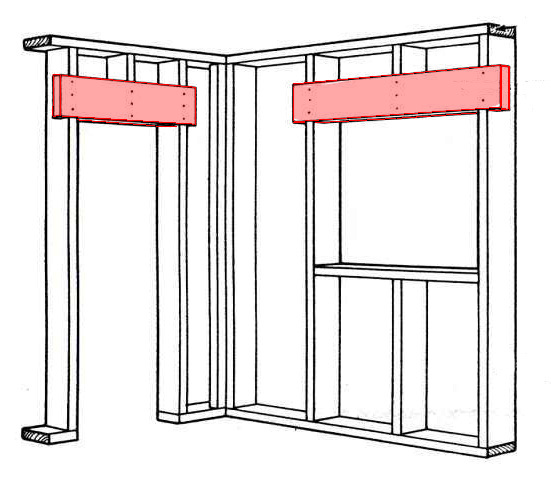 The bottom framing member of which a wall is constructed and fastened to the floor. 2. A horizontal framing member place on a foundation wall prior to the installation of the first floor. 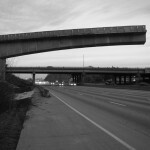 Span: the distance between two or more bearing points, (i.e. 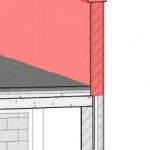 a bearing wall or column). Stile: A main vertical member of a door or window. Storefront: a type of window system usually seen in commercial projects. Story: A habitable floor level above grade. Sub-floor: A layer of plywood or similar material laid on floor joists and serves as a base for the finish floor. 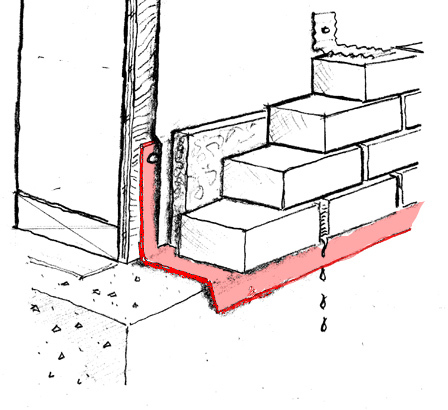 A sub-floor also provides a structural diaphragm to resist lateral loads. Submittal: A sample, manufacturer’s data, shop drawing, or other such item submitted to the architect by the contractor for the purpose of approval or verification. Transom: A window above a window (or door) and is part of the same opening. Images and photos not produced by the author used with creative commons license. Next post: Architecting. What Makes An Architect An Architect? Modern vs Contemporary: What’s the Difference? As an established firm, Studio47 offers architectural services for both residential and commercial projects, specializing in an originality that expresses the unique qualities of each client. © 2019 The Primary Line ∼ conversations with an architect. Built on WordPress & the Scherzo theme by Leon Paternoster.